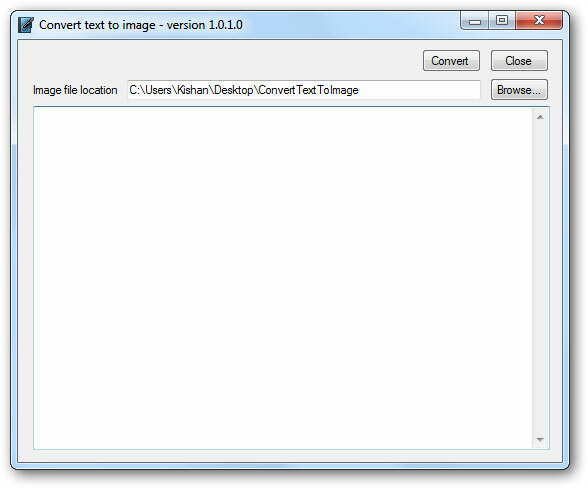 Convert text to image is a free portable tool that allows you to convert text to image with one click. 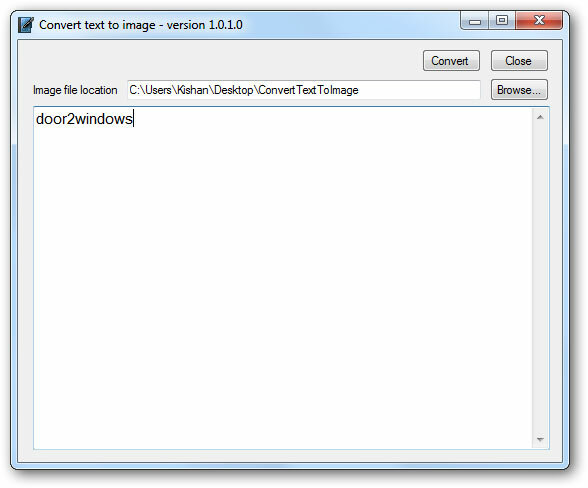 Resize the window to change the image's size. 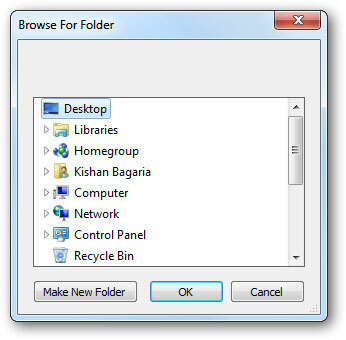 Click Browse and select the folder in which you want to save the image. Now the image will be saved in GIF format in the folder which you chose.